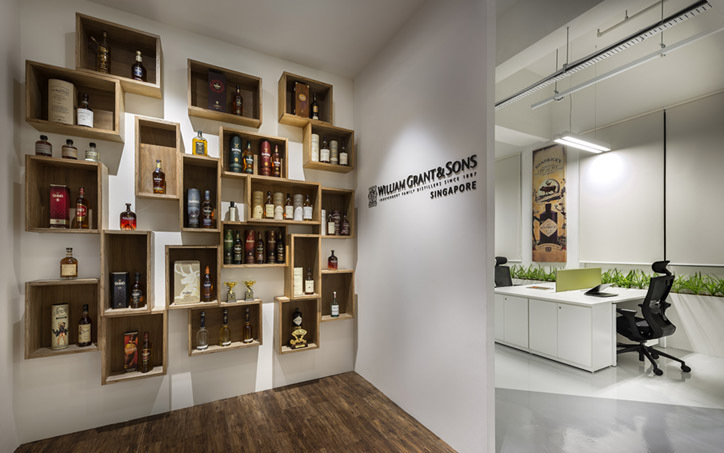 We were engaged to design the new office for William Grant & Sons. Founded in Scotland in 1887, they are a premium spirits company which distributes some of the world’s leading brands of Scotch whisky. 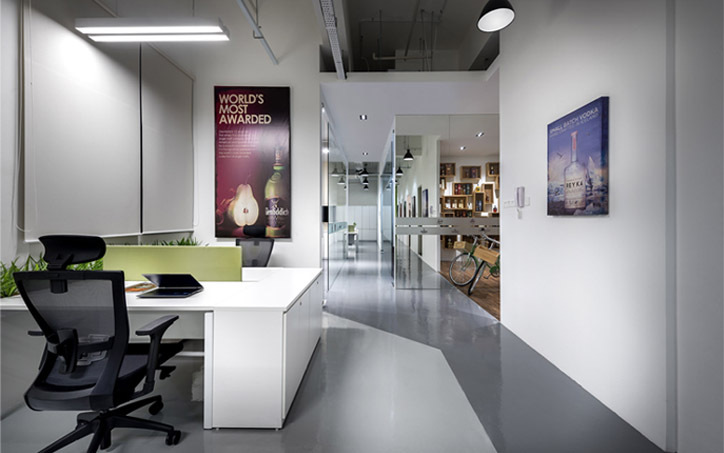 Our design brief was to relocate the company from an existing office of 100m2 to a new office area of almost 300m2. The company was looking forward to an expansion with the relocation of their headquarters from Shanghai to Singapore. 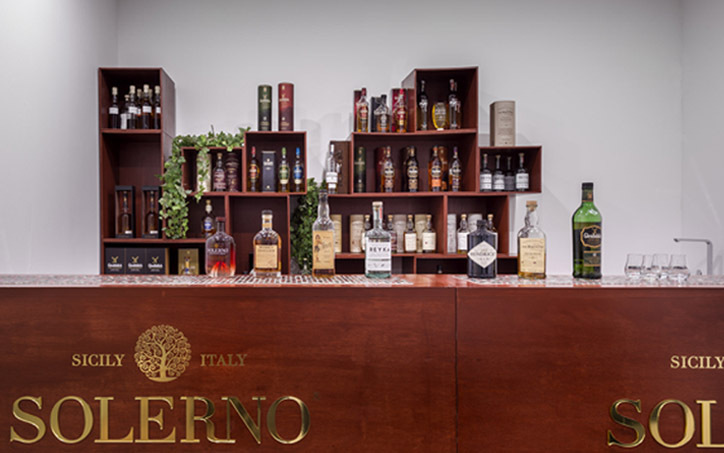 We surveyed their existing office and became familiar with their premium brands of whisky, including Glenfiddich, The Balvenie, Hendrick’s Gin and Sailor Jerry Rum. These well-known brands have developed a strong global following and they were accompanied by strong branding guidelines. 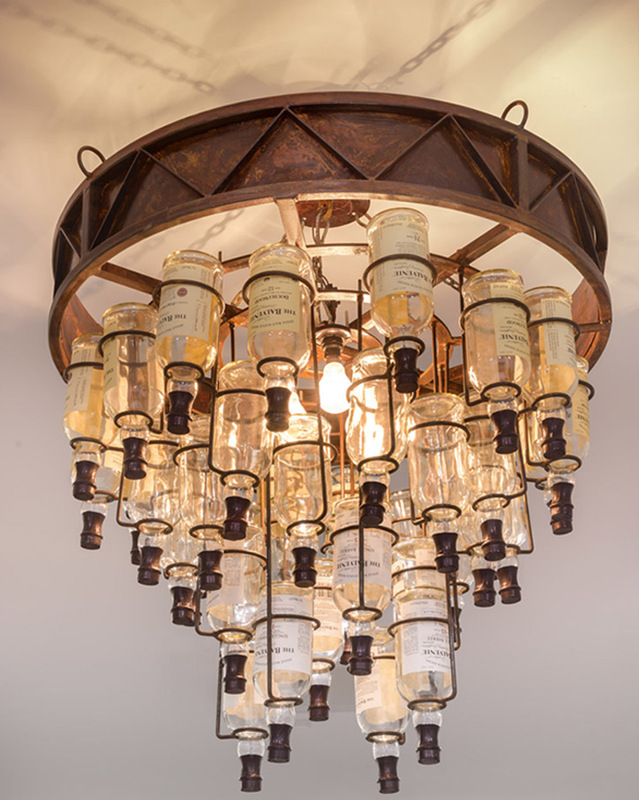 These guidelines formed part of our inspiration for their new office interior. The new plan for the office has an elongated rectangular form. The windows are on one of the long side of the space which are made up of rectangular and trapezium shaped windows. 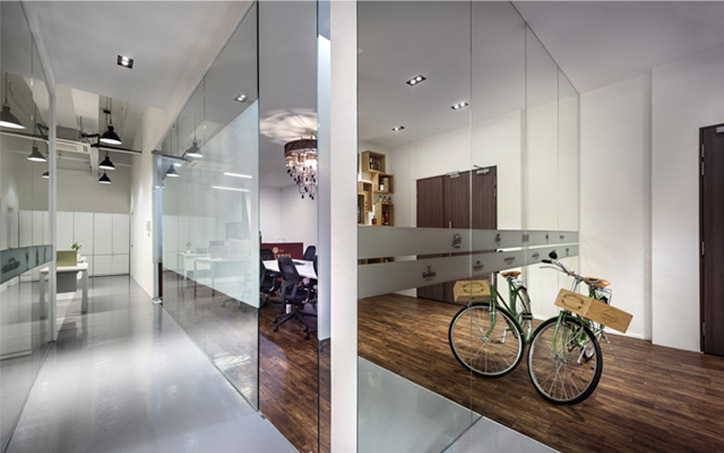 From the beginning of our planning proposal, we desired that the office be naturally bright with minimal necessity for ambient indoor lighting. 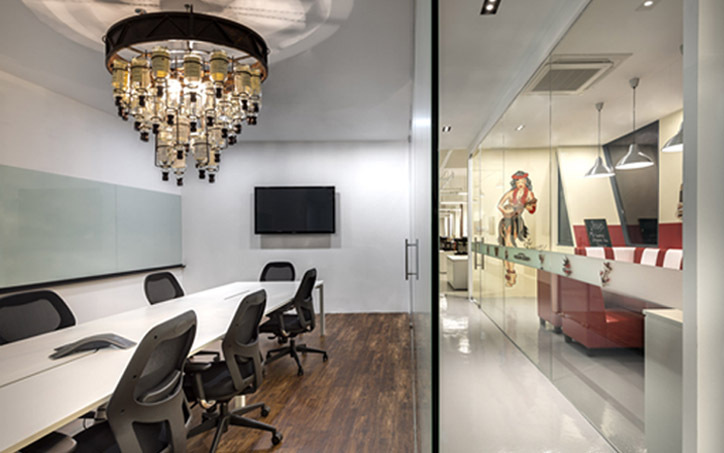 The office would be a open plan office which enhanced and empowered the occupants for active and easy communication and interaction. We designed the meeting rooms to be on the opposite side of the rectangular plan so that these enclosed spaces would not occupy and obstruct the window areas. 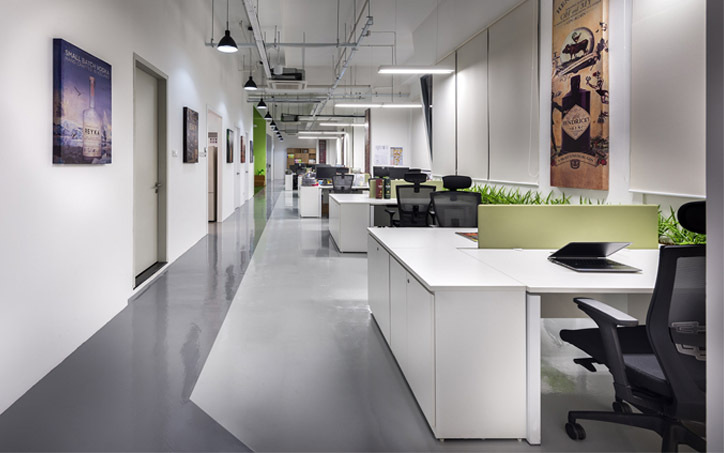 A central circulation spine permeates the office and is clearly demarcated by a strong grey tone on the floor. The path effectively connects the office from one end to the other. 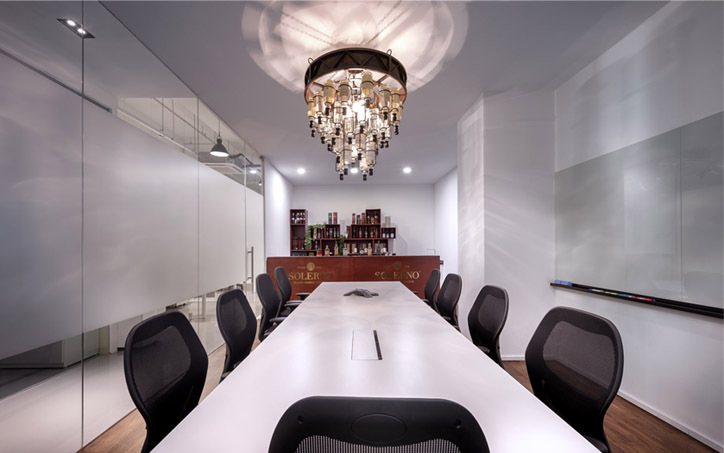 Therefore, it is clear that the open office plan takes the ‘bright'(natural light) side of the office, and the rooms for meeting and amenities takes the ‘light’ (artificial light) side. Along the side where the rooms are located, we decided to ‘ventilate’ the row of rooms with ‘green lungs’. 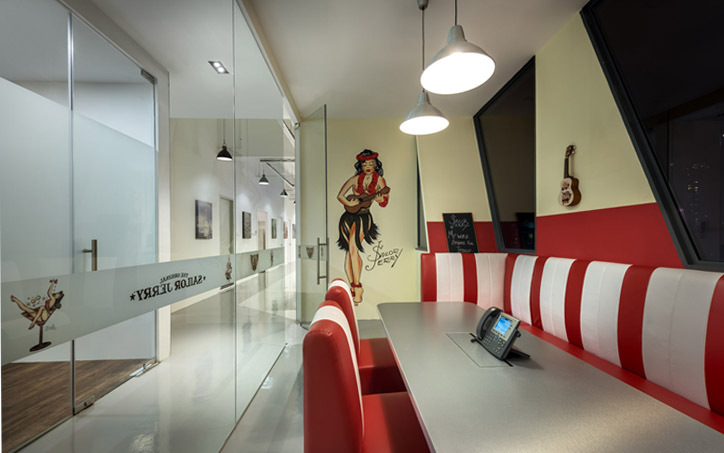 These were spaces that we called ‘break-out’ areas where spontaneous brainstorming could occur. 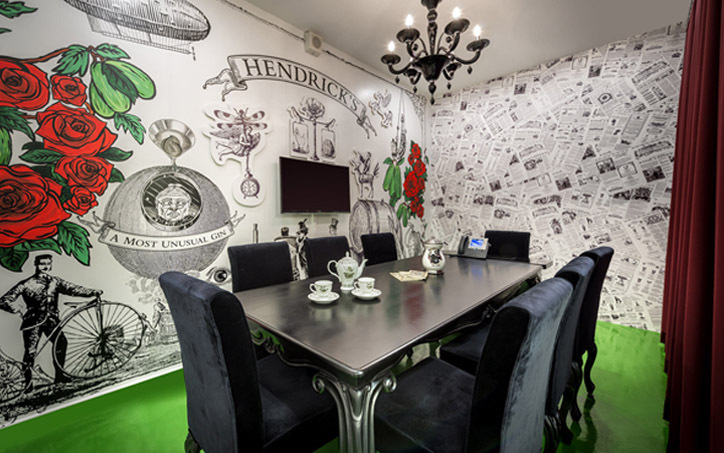 These spaces are conspicuously lined with astro turf on the floor with the walls painted with a green hue. The ceiling brought down a cluster of virtual clouds to make these spaces stand out as more relaxed and interactive areas. 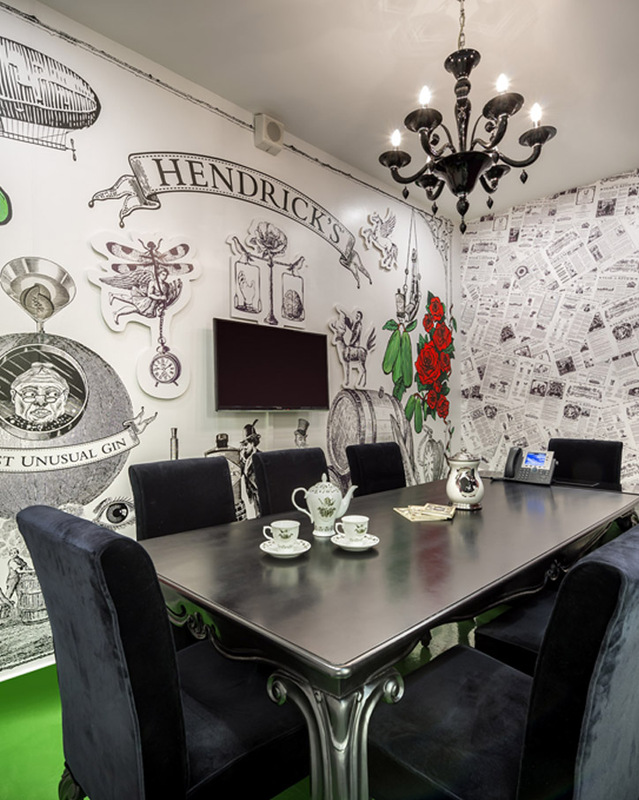 The meeting rooms are themed with reference to William Grant & Sons’ well-known spirits, viz. the Balvenie room was the main conference room, the Hendrick’s room was a cozy discussion room and the Sailor Jerry room was another meeting room. 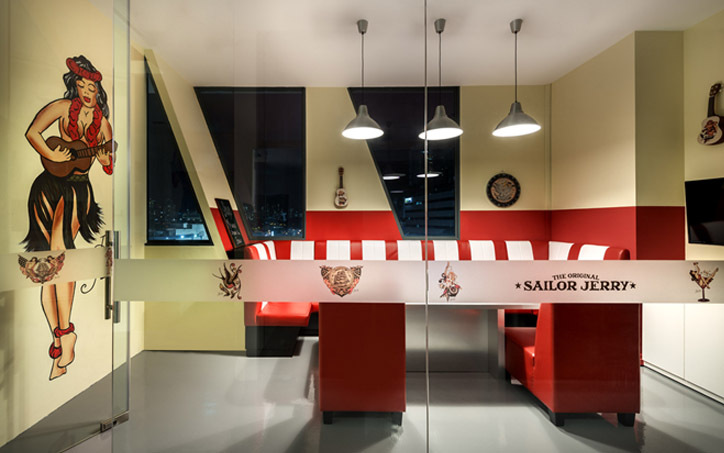 The interiors were developed with reference to these brands’ respective branding guidelines. 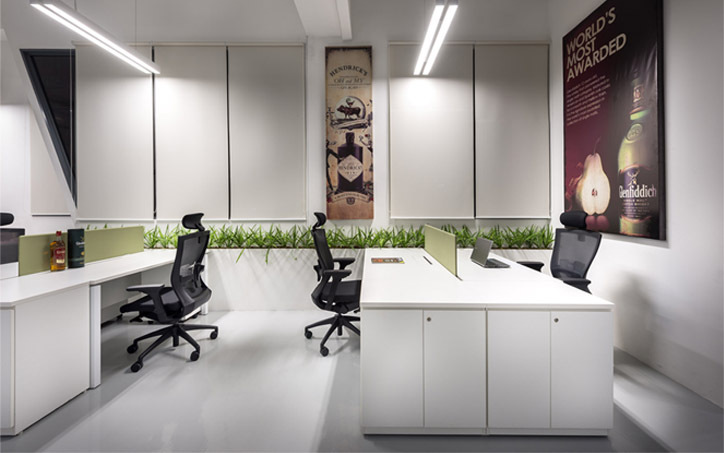 A continuous artificial planter box lined the entire stretch of the open workstations to bring a touch of nature into this contemporary office space.